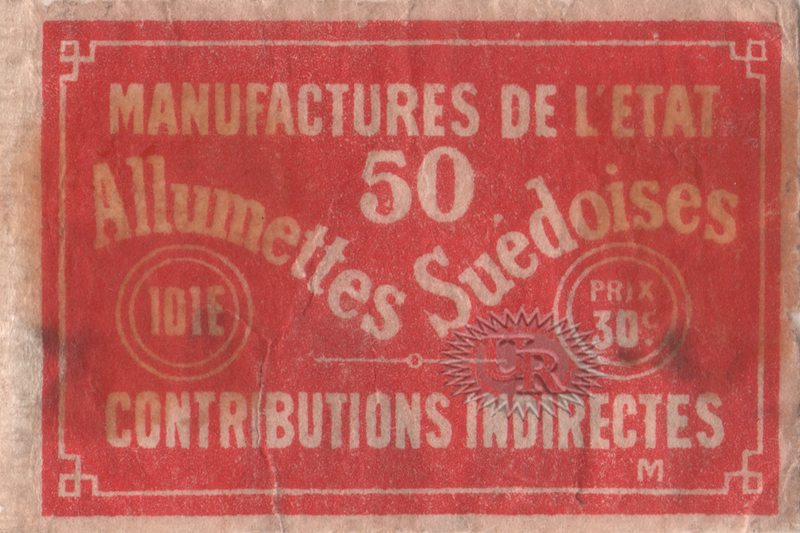 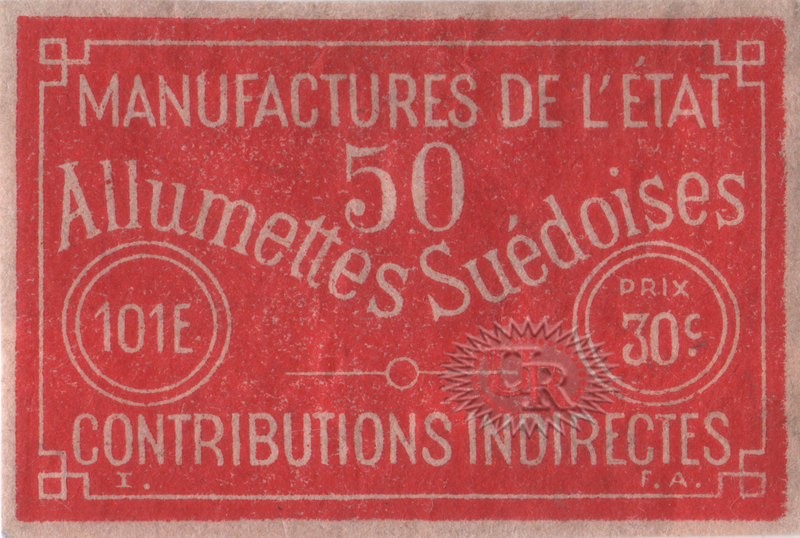 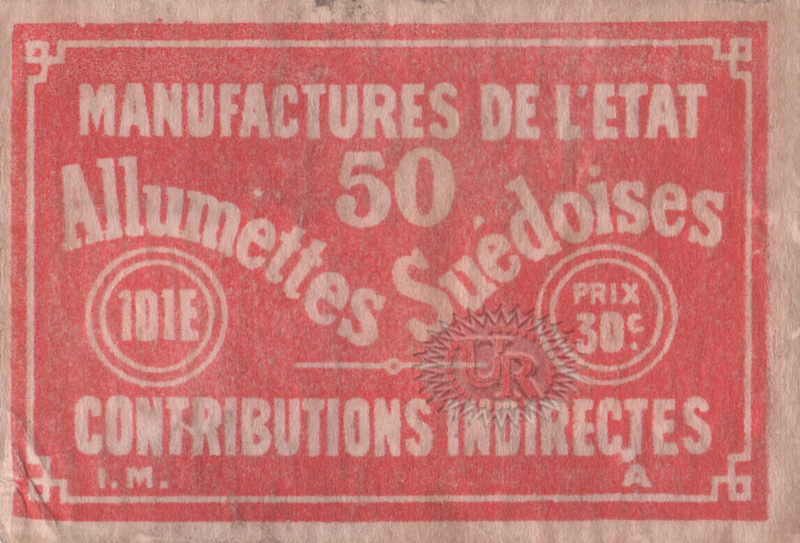 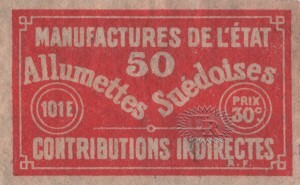 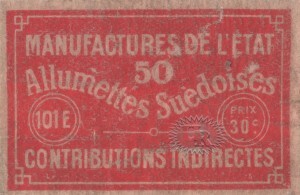 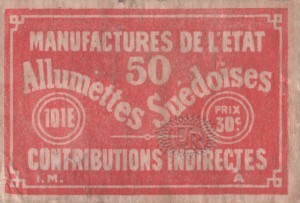 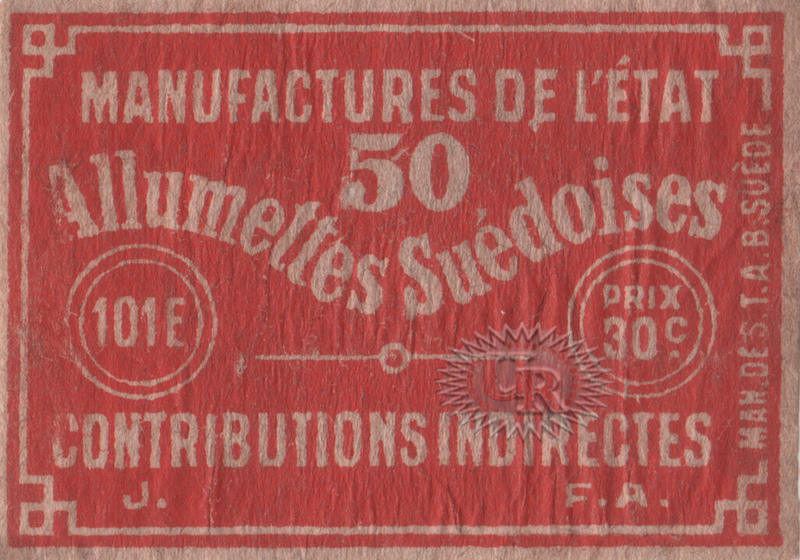 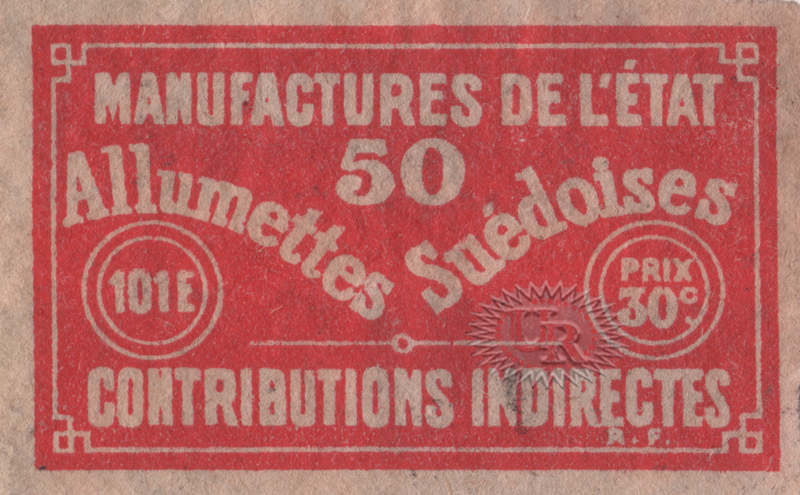 En 1926-1932, l’inscription sur la boîte «Manufactures de l’État – Contributions indirectes». 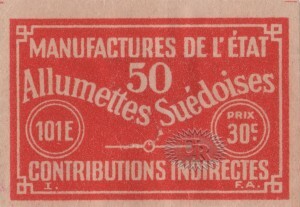 Prix de la boîte d’allumettes (101Е) dans les années 1926-1932 était de 30 centimes (remplissage une boîte – 50 allumettes suédois, texte ondulé). 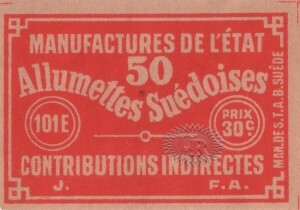 In 1926-1932 the inscription on the box “Manufactures de l’État – Contributions indirectes (Produced by the state, the indirect participation). 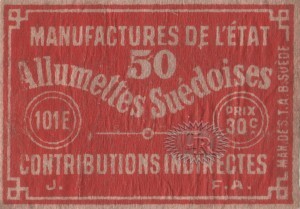 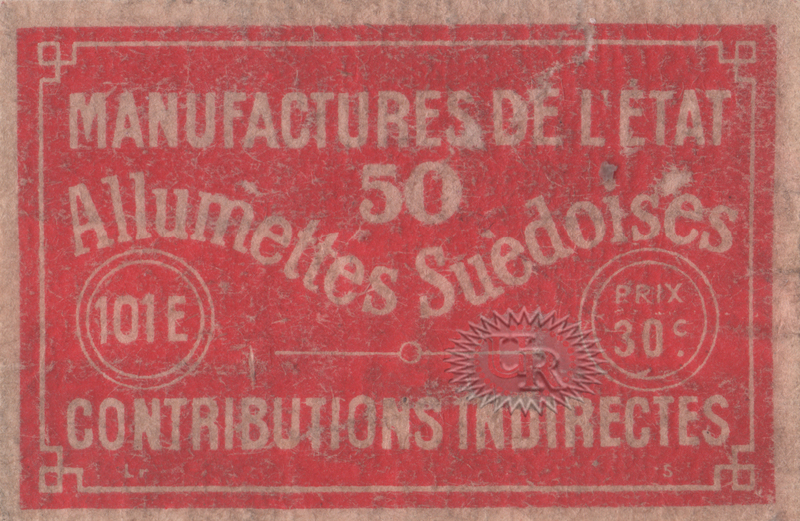 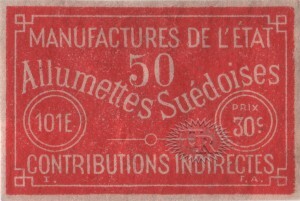 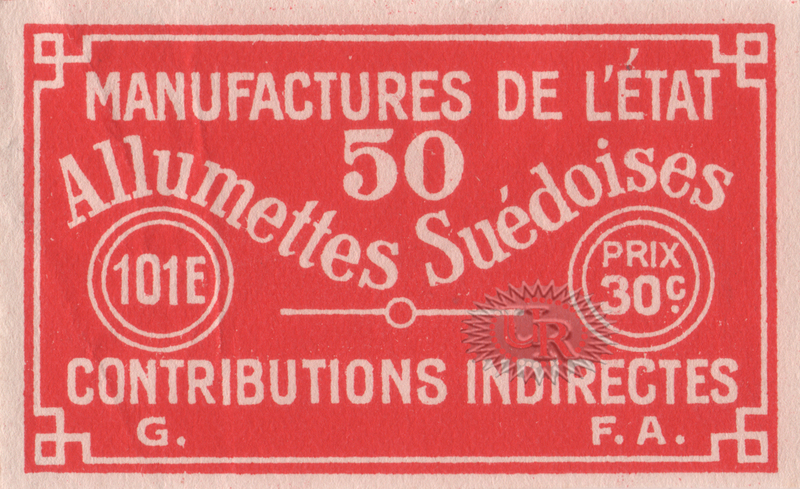 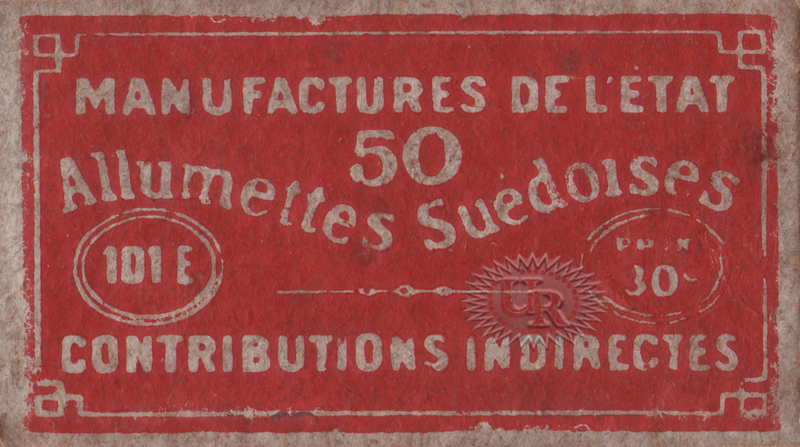 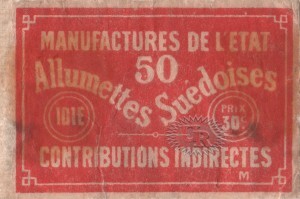 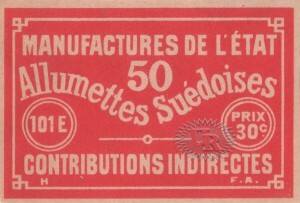 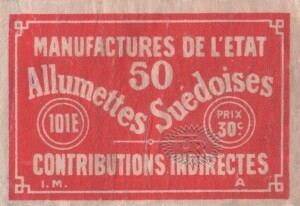 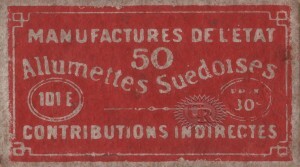 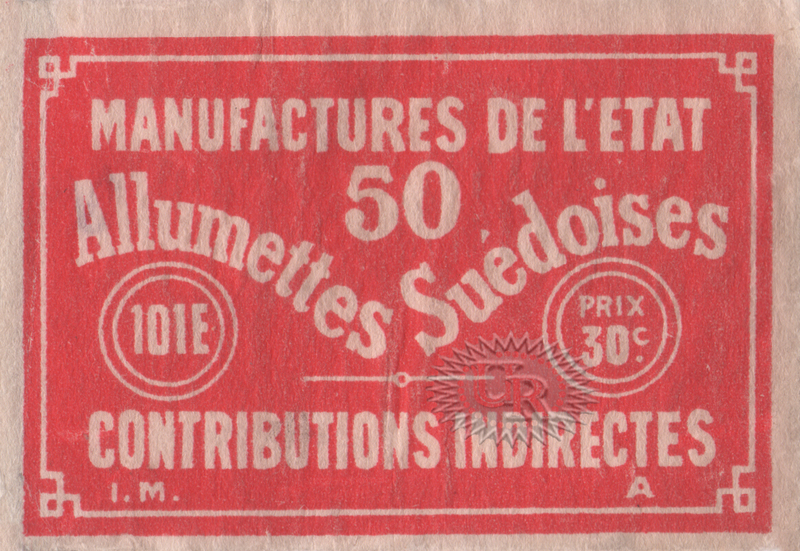 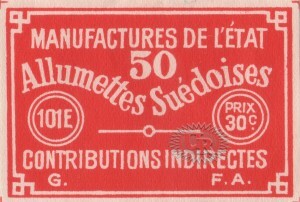 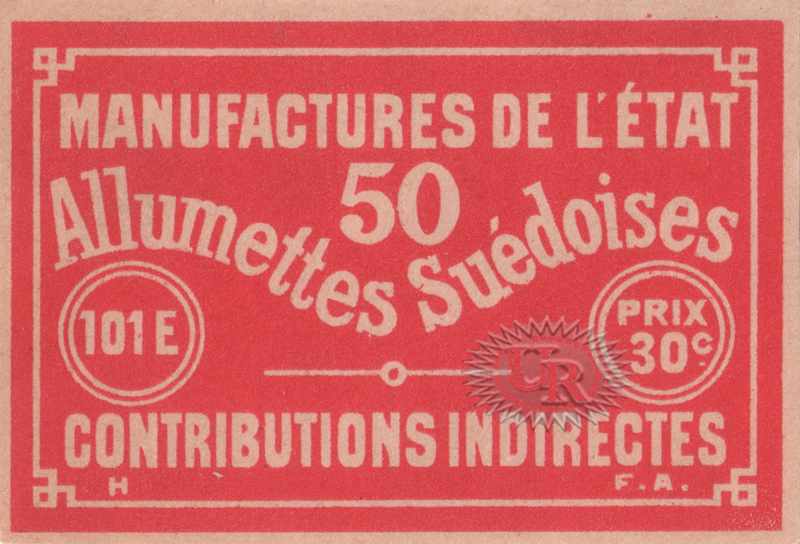 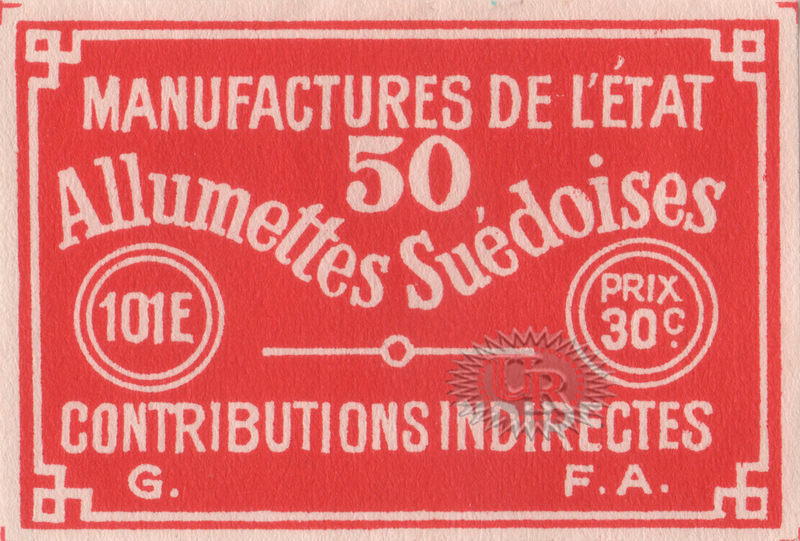 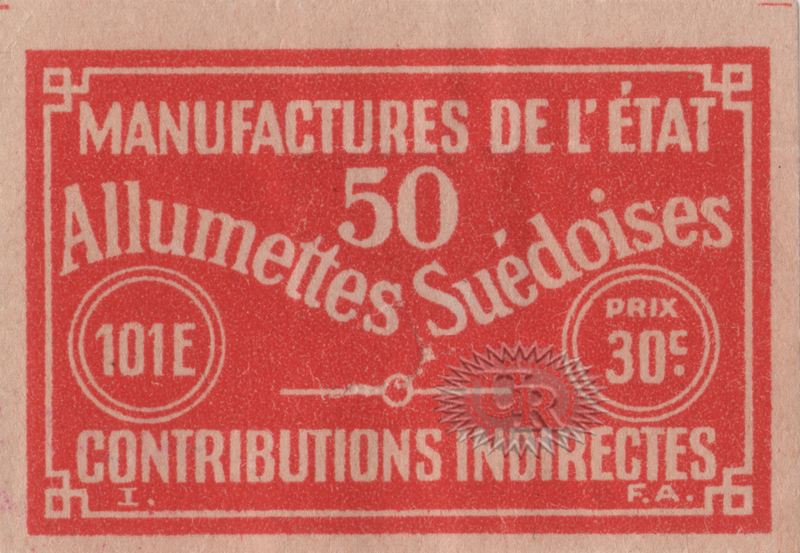 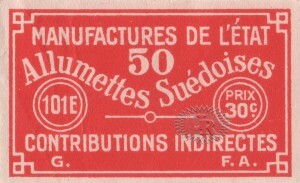 Price of the matchbox (101Е) in the years 1926-1932 was 30 centimes (filling of the box 50 Swedish matches, text in a wavy line).